Oh goodness…. with all the traveling to visit other people, I forgot how exhausting it can be to play hostess to a road warrior. My dear friend, Kinsley, spent the weekend with me and we relived our college glory days eating, drinking, and shopping our way through Chapel Hill. It was glorious. That’s not all I did this week, though. Here’s another edition of Six Pack Sunday, complete with a bit of the craziness that the French provide this world. Not a masterpiece, but it'll do. 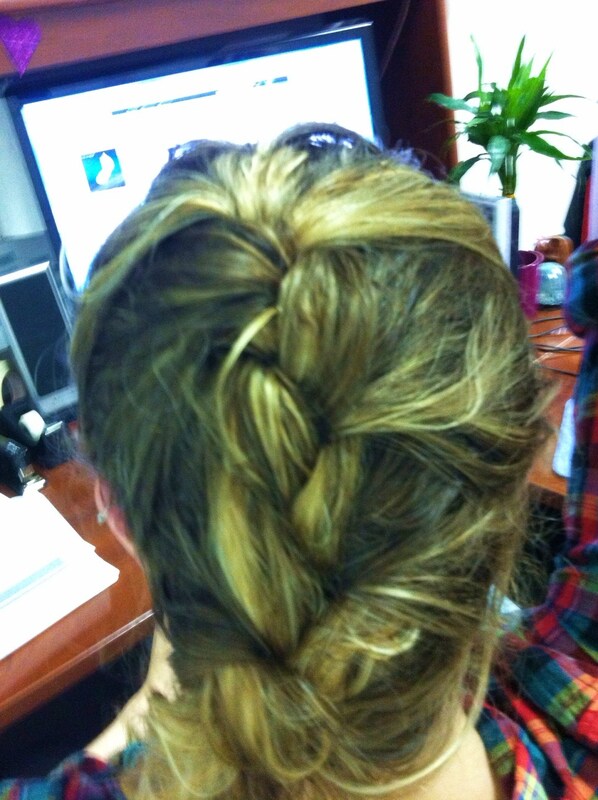 Would you believe that, before this week, I’d never french braided before? If you look at this picture, you probably will. I taught myself, then and there. It’s not perfect, but my imaginary future daughter won’t hate me. At least not because I can’t braid. 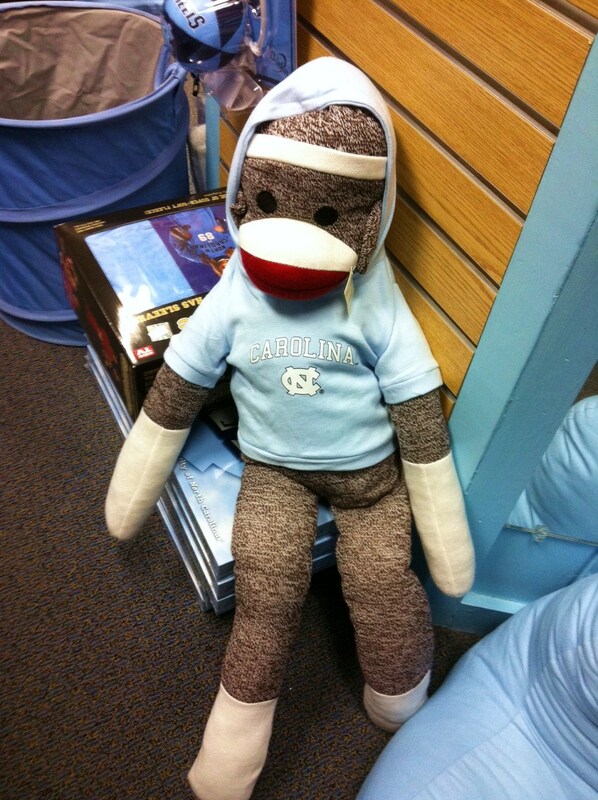 Wanna see the cutest thing I saw on my shopping tour of Chapel Hill? Just further proof that Carolina blue looks good on everyone. I forgot to DVR my Thursday night shows due to crawfish boil excitement. Luckily, technology saved the day again. Yes, The Vampire Diaries. No shame in my game. 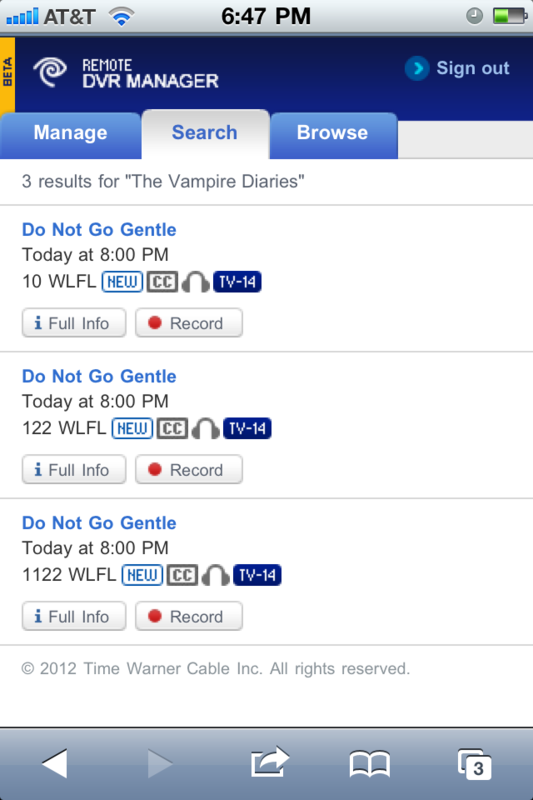 I can program my DVR from my phone. I will NEVER miss a show again. This is amazing. Dipping sauces included Curry Mustard and Chipotle Mayo. If you’re in Chapel Hill, go there, enjoy the fries, and thank me later. French toast aside, I think french fries are the most perfect French-prefixed creations on the planet. Another item from the epic shopping adventures of the week? I can’t wait for a summer rocking shorts and Sperrys. And I have the absolute perfect white/blue dress that, added to these kicks, will make me the most patriotic girl around on Fourth of July. Yes, I plan my Independence Day outfits as far in advance as my Halloween costumes. Bottled water isn’t expensive enough for you? Well, luckily, this is now a product that exists. 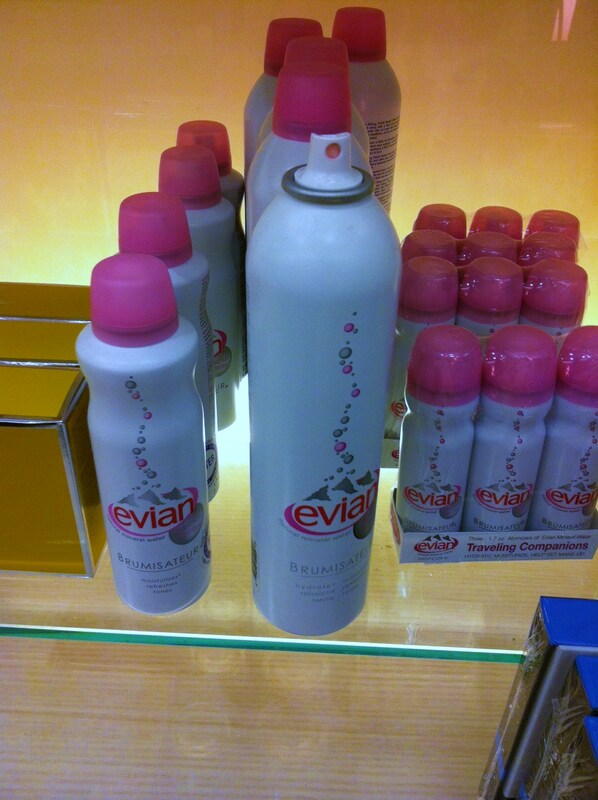 Evian’s “Moisturizing Spray” is mineral water you can… spray on yourself. How is this different from putting “mineral water” in a spray bottle? Oh, it isn’t? THEN WHY ARE YOU CHARGING ME $17?! I’m off to brush my teeth with non-mineral water and toothpaste, and hit the sack. Sleep tight, friends. And save up your pennies for fancy, absurd water-based products. They don’t grow on trees. Are you kidding me?! $17 for a bottle of water to spray on myself? That’s ridiculous. So, now I’m kind of afraid my non-existent daughter is going to hate me! I don’t know how to French braid! ZUT! get thee to a teacher, stat. Or never allow your daughter to covet the sweet stylings of MY imaginary daughter’s sick hairstyle. Never tried Buns…but saw it. Tyler’s garlic fries are deadly, you will smell for days.. So Tyler’s in Durham has a deal where, if you check in on foursquare, you get a free order of those garlic fries. Last time I went, we got 3 orders for the table. And thus, Durham was safe from vampires for days. I love sperrys like whoa.